Veteran batsman Yuvraj Singh said Mahendra Singh Dhoni's presence is crucial for India's World Cup chances as he is a guiding force for current captain Virat Kohli and also plays an important role in decision-making. Yuvraj, the 2011 World Cup's player of the tournament, echoed the sentiment when asked about the Dhoni factor. "I think Mahi (Dhoni) has a great cricket brain. And as a wicketkeeper, you are in the best position to monitor the game and he has done that fantastically over the years. He has been a great captain with the young players and guiding Virat all the time," Yuvraj said in Mumbai on Friday. "So, I feel his presence is very important in decision-making. 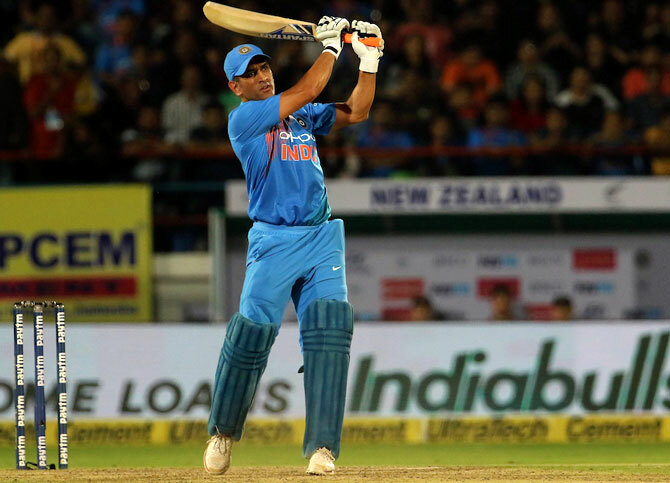 He had a fantastic tournament in Australia and it is good to see him hit the ball how he used to do, and I wish him all the best," added the batsman, who was part of two World Cup winning teams -- World T20 in 2007 and the ODI World Cup in 2011. Yuvraj, who will be seen in action for Mumbai Indians in the upcoming 12th edition of the Indian Premier League, said he will look to ease the pressure on captain Rohit Sharma. "I think, if I can contribute in the middle-order, it will just take some weight off him (Rohit) and he can just go and play his natural game, while opening. (We will) see how the combinations (go)," Yuvraj said. "I am very fired up boss, I have been training in the nets everyday," said the left-hander. He was also was pleased with rise of teams like Vidarbha, who won this year's Ranji Trophy, along with teams like Gujarat and Saurashtra in the domestic circuit. "Also impressed with how domestic cricket is improving, the other teams are improving...Saurashtra are playing well, Gujarat has also been playing very well, so it is good to see that in domestic cricket," he said. First Look: The six that sealed the World Cup!